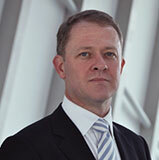 General Counsel, Asia at Instinet Australia Pty Ltd.
Liam is a solicitor admitted in NSW, Australia and Hong Kong. He currently works in the financial markets taking care of legal and compliance issues for an international brokerage firm. After having contact with the healthcare system when his eldest child was seriously ill as an infant, he has maintained an interest in the wellbeing of children and their families and carers in the healthcare system. Liam joined the AWCH Board to assist with the promotion of awareness around the emotional and social needs of children in the healthcare system. Liam joined the AWCH Board in 2016.